INspiration Skincare prides itself in providing top quality products while manufacturing with only the highest quality of ingredients. INspiration Skincare offers two lines of toiletries and skincare products. 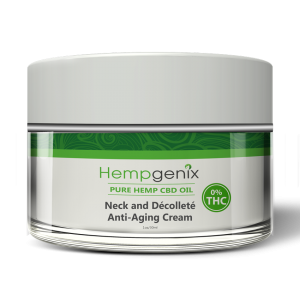 A traditional line and a line infused with CBD (a cannabis compound that has significant benefits to the skin). Our prescription quality Traditional and Cannabinoid skincare products range from body lotions, face creams, eye serums, shampoos, conditioners, age reversal formulas. muscle/joint pain creams, to hair restoration serums. The INspiration product line was created by Henda Salmeron, the maverick mom turned accidental lobbyist, who passed one of the most influential women’s cancer laws in American history. Henda’s Law Texas HB-2102 changed the standard of care for mammography screening for all Texas women in 2011 and set the precedence for the Nation and all of the States that followed. These prescription quality products are available to to the public through causes, patients, victims, and their supporters for the purpose of providing supplemental income to address the additional expenses that burden patients and victims in their time of need. The model and logic is basic. Simply purchase and re-direct a portion of the monies that you already spend on your skincare and toiletries in exchange for superior exclusive prescription quality product lines while you directly help someone through their challenging life experience. Causes, patients, victims, and supporters all make the magic happen by creating personal Supporter bases for the individual in need by using their influence to encourage their friends, employers and followers to take advantage of the prescription quality products for a fraction of what they pay at physician offices, salons, pharmacies, and department stores. To begin, simply purchase and test a product and/or product below….then proudly share your purchase and the INdividual’s story of need that you purposely took time show that you cared. To Share is to CARE! Even if you choose not to purchase you are able to show that you care by just posting to your social media followers on platforms such as Facebook, Instagram, and Twitter.